Conveniently located within easy reach of Edmonton, affordable, clean place with friendly staff. Close to West Edmonton Mall and all the shops and restaurants located in the west end of Edmonton. This hotel is an economical place to stay, and it's nice and close to Edmonton International Airport. What a wonderful new hotel experience with a friendly and professional team from start to finish on a 3 day business stay in Edmonton. Being from out of town and wanting to experience Edmonton and some shopping we felt the West Edmonton mall and Fantasy land Hotel was the best place to stay. (staff kindly allowed us to use it. 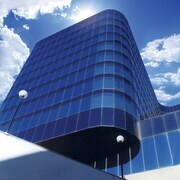 )All in all, I would highly recommend this hotel to anyone traveling to Edmonton either for business or pleasure. Where to find Edmonton hotels near an airport? 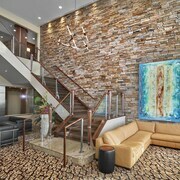 How can I find hotels in different Edmonton neighborhoods? Where can I find hotels in Edmonton that are near tourist attractions? Visitors looking for a hotel close to the heart of Edmonton, should browse the latest offers at the The Fairmont Hotel Macdonald and Union Bank Inn. Old Strathcona is an area that lies 3 kilometres (2 miles) from the main part of Edmonton and has the largest range of Edmonton establishments. Places to base yourself in Old Strathcona include the Metterra Hotel on Whyte and Varscona Hotel on Whyte. Another option is Leduc. Leduc is where you'll find the Hampton Inn & Suites Edmonton International Airport and Best Western Plus Denham Inn & Suites. Or, try Nisku, where you'll find the Holiday Inn Express & Suites Edmonton International Airport and Four Points by Sheraton Edmonton International Airport. 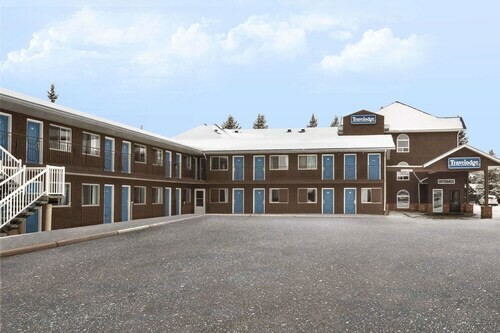 The Best Western Plus The Inn At St. Albert and Sleep Inn Motel are located in St. Albert, while Holiday Inn Express & Suites Sherwood and Days Inn & Suites Sherwood Park Edmonton are part of the Sherwood Park area. No visit to Edmonton would be complete if you don't make a visit to the West Edmonton Mall. The Fantasyland Hotel and Courtyard Edmonton West are all nearby. For those who plan to spend time at the Fort Edmonton Park and the University of Alberta while you are in Edmonton, why not stay close? The Linda's Inn and the Hotel Selkirk at Fort Edmonton Park are near the Fort Edmonton Park and the Campus Tower Suite Hotel and Matrix Hotel are close to the University of Alberta. Thrifty travelers rejoice! The Edmonton area features a fine selection of budget hotel establishments. 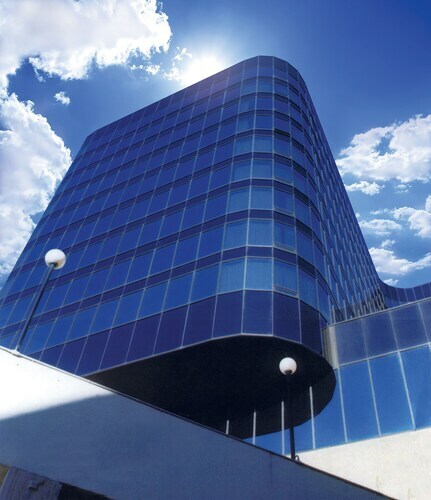 13 kilometres (8 miles) from Edmonton's heart you'll find the Four Points By Sheraton Edmonton Gateway. The Quality Inn West Edmonton is only 9 kilometres (6 miles) away. The Comfort Inn & Suites Downtown Edmonton and the Super 8 Edmonton International Airport are two alternative economical hotels that are worth a look. 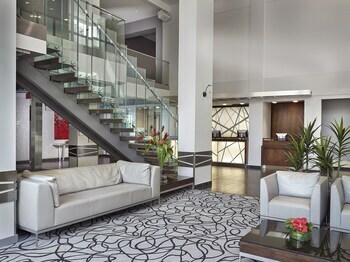 The Sandman Signature Edmonton South Hotel is located 13 kilometres (8 miles) from downtown Edmonton. 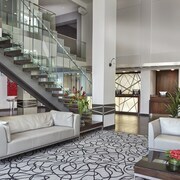 Alternatively, the Edmonton Marriott at River Cree Resort can be found 14 kilometres (9 miles) away. 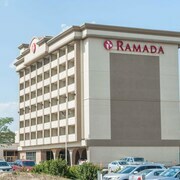 Alternatively you could make a reservation at the Ramada Edmonton West or the Delta Hotels by Marriott Edmonton South Conference Centre. The wider Central Alberta region is worth seeing as well. Central Alberta is known for forests. Popular Central Alberta visitor draws are old towns and archeological sites. Tourists in this region of Canada commonly enjoy snowboarding. Spend the day discovering Crypt Lake Trail and The Mill Creek Monster, which you'll find in Downtown Edmonton, 0.6 kilometres (0.4 miles) to the southwest of Edmonton. 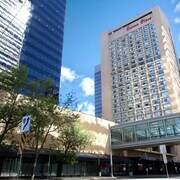 The Holiday Inn Express Edmonton Downtown and Chateau Nova Hotel and Suites are some of the Expedia-recommended short and long-stay alternatives in Downtown Edmonton. Alternatively, you could consider staying at Ponoka, 95 kilometres (60 miles) to the south of Edmonton, where you can choose from the Canalta Ponoka and Stampeder Inn. Should you choose to stay in Ponoka, a couple of places to add to your itinerary are the Ponoka Community Golf Club and Fort Ostell Museum. Edmonton International Airport can be found 25 kilometres (17 miles) from Edmonton. 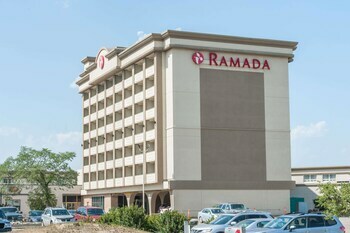 If you wish to stay nearby, you can easily book a night at the Ramada Edmonton International Airport or Executive Royal Hotel Edmonton Airport. What are the most popular Edmonton hotels? Are there hotels in other cities near Edmonton? What other types of accommodations are available in Edmonton? Explore Edmonton with Expedia.ca’s Travel Guides to find the best flights, cars, holiday packages and more! Flights from Pearson Intl. to Galeao Antonio Carlos Jobim Intl. Flights from Pearson Intl. to Shuangliu Intl.